Simple but effective creepy costume! Black vinyl apron comes with matching gloves and face mask. 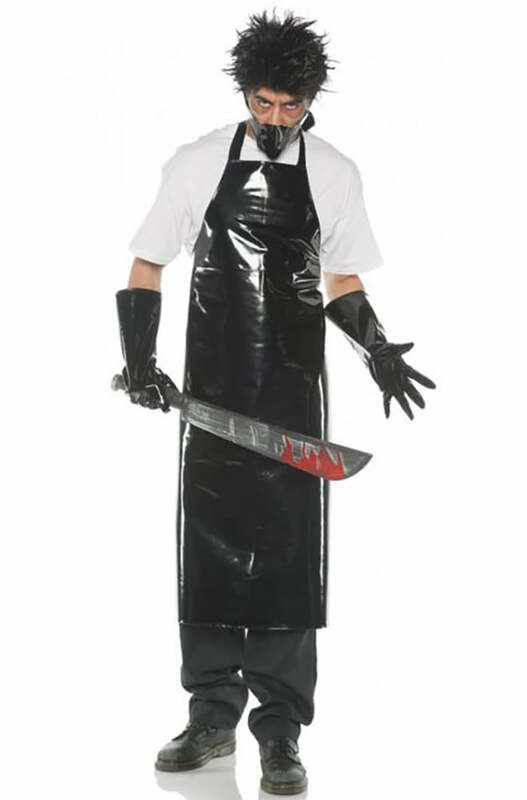 Add your own shirt, pants, shoes, and bloody machete or axe!